@woodstockings  This Instagram account is for people who feel displaced in our current era, or for anyone who feels nostalgic about Woodstock and its culture. The account captures iconic people and moments from the 60s and 70s, along with everything else that made that era seem whimsical and carefree. @seventiees  This account could seemingly be run by a hippie going to iconic concerts and events in America in the 60s and 70s. @costumeinstitutelibrary  Run by Julie Lê, the librarian at the Irene Lewisohn Costume Reference Library at The Metropolitan Museum of Art in New York, this is an account for fashion history nerds and bookworms to get lost in and find beautiful inspiration. Plus, the photographs in the books make for a great aesthetic in itself. @staleywisegallery  This account is gorgeous and makes us feel like we are walking through an art gallery! 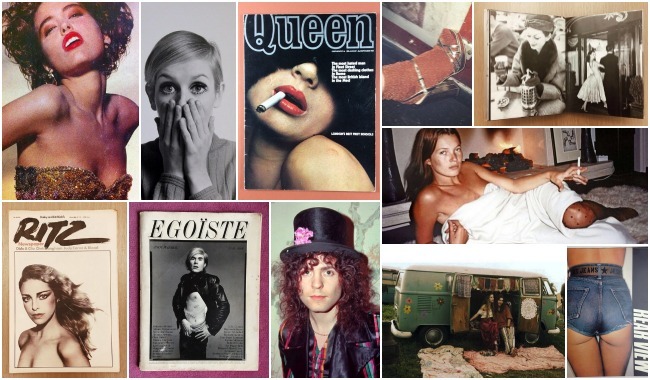 Beautiful photographs of Twiggy and young Marilyn Munroe fill the accounts tiles. @novemberbooks  You will find photos that are as romantic as its name, with its black and white photos of rockers from the 70s. This account is perfect if you’re not able to go to November Books headquarter in London.